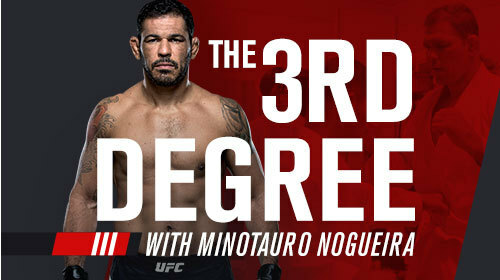 UFC Hall of Famer and PRIDE FC legend Minotauro Nogueira travels the world to immerse himself in the traditional martial arts and the way of life of those who practice them. The 3rd Degree Ep. 1 Freestyle Wrestling Apr 4, 2017 (38:14) Wrestling isn’t universally considered to be a martial art, but 24 years of the UFC have shown nothing is a better base for MMA. 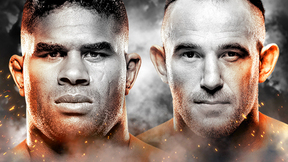 After UFC light heavyweight champion Daniel Cormier hooks him up with a contact, Minotauro travels to Stillwater, Oklahoma, to train with legendary Oklahoma State coach John Smith. The 3rd Degree Ep. 2 Muay Thai Apr 3, 2017 (38:43) Perhaps no other martial art is as ingrained into the mainstream culture of its country of origin as Muay Thai boxing. Minotauro flies to Bangkok to immerse himself in the rich culture of the eight-limbed fighting style. The 3rd Degree Ep. 3 Judo Apr 3, 2017 (41:36) As a mixed martial artist, Minotauro competed 32 times in Japan. Now he returns to the spiritual home of martial arts to learn more about judo, an adaption of jiu-jitsu created by Jigoro Kano in 1882. The 3rd Degree Ep. 4 Sambo Apr 3, 2017 (34:15) Big Nog braves the bitter cold of Russia to find the roots of Samnozashchita Bez Oruzhiya – better known as SAMBO – a fighting art created a century ago by the Red Army. The 3rd Degree Ep. 5 Taekwondo Apr 3, 2017 (38:42) Taekwondo is a fusion of traditional Japanese striking arts with native Korean styles. Minotauro travels to South Korea to learn more. The 3rd Degree Ep. 6 Karate Apr 3, 2017 (38:54) Minotauro returns to Japan to immerse himself in the world of karateka – the practitioners of authentic karate – who can trace their art all the way back to 1372.